Let’s get this out of the way first; this is the first live action reboot of a Disney animated feature film that’s completely original and not an adaption of anything. So this is not exactly the same as the classic cartoon per se. And it’s actually a good thing. Tim Burton really did an amazing job crafting such a beautiful movie that’s never boring and even suspenseful at times. 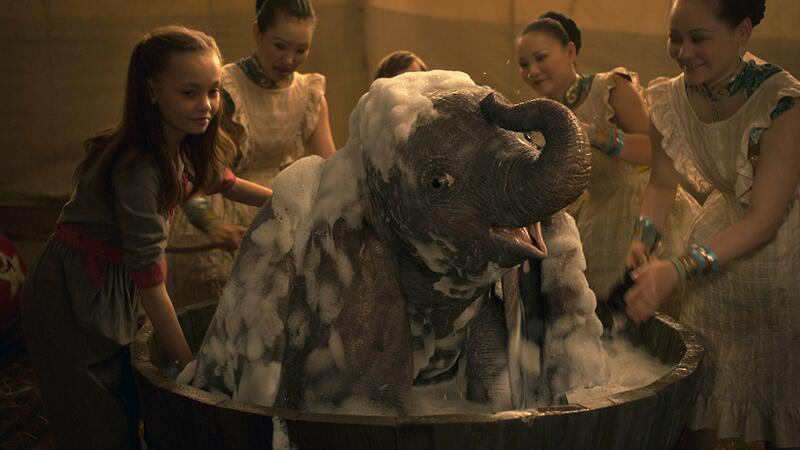 The CGI Dumbo is so well done that you can’t help fawning at his innocense and cuteness. Despite it’s 130 minutes run time, I never find a single boring moment. The story zip by breezily in no time at all. Tim Burton managed to craft a children’s movie that appeals to kids but did not alienate the grown ups who come to see it by making it an eye candy filled with unpredictability moments and never dumb down the dialogues among the characters. That was the biggest problem from Steven Spielberg’s big budget disappointment “The BFG”. Posted in Action, Drama, engaging, engrossing, fantasy, Fun, kids movie, New Film, Original, Period Movie, Suspense and tagged colin farrell, danny devito, dumbo, eva green, michael keaton, tim burton. Bookmark the permalink.